New McLaren 540C. McLaren Glasgow and McLaren Leeds. The exceptional McLaren 540C is completely driver centric and has been designed and produced with exceptional detail. The 540C is the most attainable McLaren produced boasting 540PS (533bhp) and 540Nm (398lb ft). The grand 540C model combines powerful and lightweight features perfectly. The breath taking and ultra-fast model will exceed your expectations as it achieves 124mph in 10.5 seconds from standstill throwing you into the back of your seat with your heart racing. The top of the range McLaren 540C combines luxury and practicality with a convenient and ergonomically designed interior. Adjustable sports seats with leather finish provide adequate support while experiencing a world of entertainment offered through the perfectly integrated Bowers & Wilkins stereo system with Tweeter-on-Top technology. The central touchscreen infotainment system includes satellite navigation, Bluetooth audio streaming, Wi-Fi tethering and Voice Activation come as standard specification. The 540C has your weekend break sorted with its impressive storage capacity as well as enough multiple storage compartments for your necessary items. The exterior carbon fibre construction and organic curves share close connotations with Formula 1™ and its supercar cousins. Paired with the iconic Diherdral Doors the model represents the symbolic and distinctive bold McLaren image. The MonoCell II is a strong and robust chassis that weighs less than 80 kg therefore providing the ultimate crash protection with incomparable dynamics. McLaren strive to reduce mass and achieve a level of agility and precision that rivals its competitors and goes hand in hand with the 540C’s character. Give the McLaren 540C any situation and the model will adjust perfectly and with ease whether this is on the long stretch roads or city driving and with a 7 gear box to glide through you’ll enjoy the thrill of the drive every time. 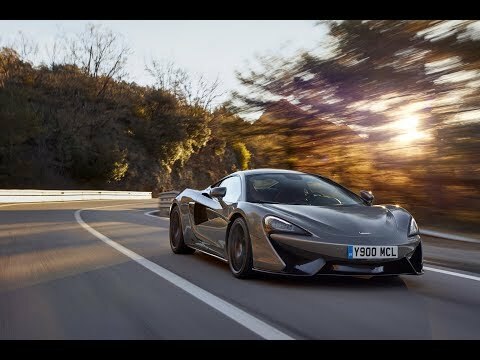 At the heart of the McLaren Sports Series is a 3.8 litre twin-turbocharged V8 engine which can obtain incredible speeds of 0-60mph in 3.4 seconds. The McLaren 540C model’s exterior, interior and breath-taking performance has been designed with enjoyment at the centre of their focus.